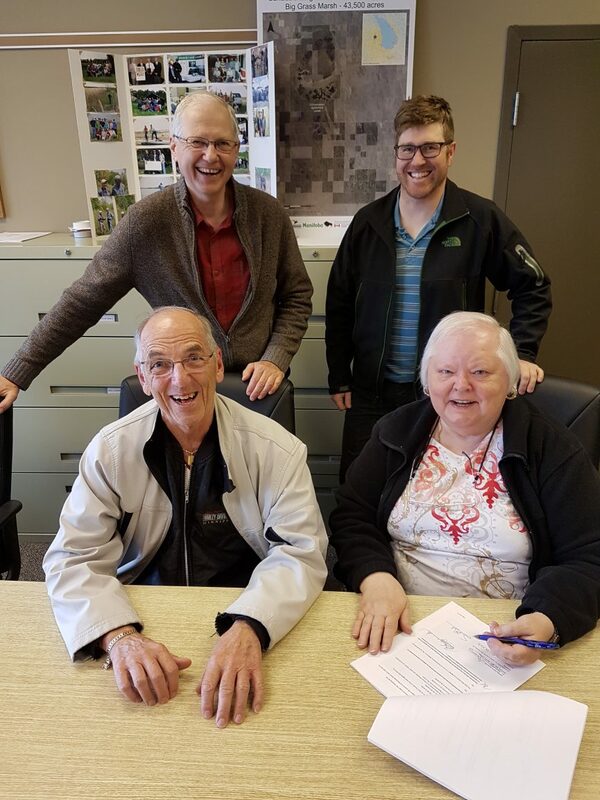 Len and Vicki Lazaruk have partnered with MHHC to protect 190 acres of waterfowl and wildlife habitat in the Shoal Lake, Manitoba area. This region is one the best in Manitoba for waterfowl breeding, with up to 50 pairs of waterfowl per square mile. Focusing on protecting the wetlands, and allowing cultivated areas to continue in crop production, this project is a great example of landowners balancing farm and wildlife needs. Leveraging funding support from across North America, these 190 acres will soon be part of MHHC’s homegrown conservation footprint in Manitoba.